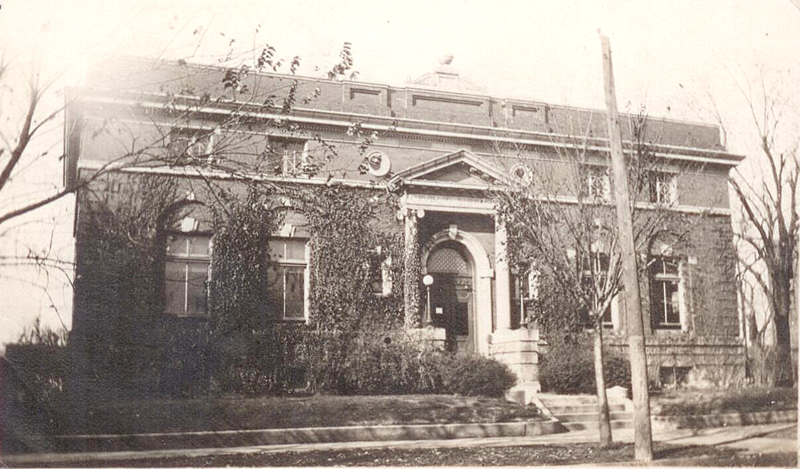 The Oskaloosa Public Library first opened its doors in 1903 as a result of a drive spearheaded by the Oskaloosa Women’s Club and a generous donation of $20,000 from the Carnegie Foundation. The Library’s first book collection came from the Mahaska County YMCA library. 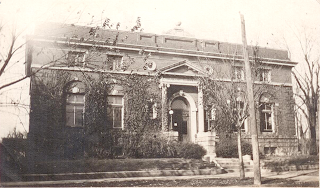 Located just one block south of the Oskaloosa City Square and business district, the Library has served as an easily accessible hub of information and resources in the downtown area for 110 years. Over the years, the Library has evolved from a warehouse of books to a technology driven information center. In 1996, an expansion and renovation of the Library doubled the floor space, allowing room for a larger collection, two computer labs and an expanded children’s department. Many new visitors to the library do not realize the addition, as the architects made an effort to ensure interior and exterior colors, woodwork and bricks matched those of the original building. The new building has remained an aspect of the community of which many citizens are proud. Today, the Library houses more than 83,750 items, which include books, audiobooks, magazines, CDs, DVDs and other materials. Patrons also have access to thousands of periodical articles through online databases, as well as downloadable eBooks and audiobooks through WILBOR, an online catalog. Twenty public access PCs and a WiFi network provide patrons with access to the Internet. Recent additions to the Library’s technology include a newly remodeled Technology Instruction Lab with updated computers on the first floor, a selection of eReaders for instruction, and an AWE Early Literacy Station for children. Staff help patrons on a daily basis find the materials and resources they seek, provide programs for patrons of all ages, and make sure the items in the collection are accessible and available to the public. Story times, author visits, computer classes and the annual Summer Reading Program present several opportunities for enrichment to the members of the community. In the foyer on the second floor of the library, you'll find a marble time capsule. Items, including secret mementos from staff, were placed in the library’s time capsule on Sunday, September 13, 2003. They were intended to represent the current library as well as the library’s past. Bates Funeral Chapel provided the time capsule, and Swim’s Sports provided engraving.